One of the traditional Islamic garments that look classy yet are extremely comfortable to wear are Thobes. 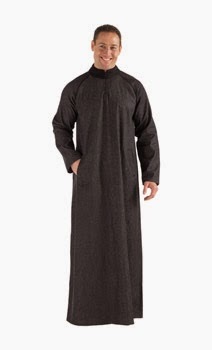 Islamic Thobes for men resemble a long robe that reaches the ankle and is generally worn with a trouser underneath. It is one of the most popular clothing item among the Islamic men as it is comfortable to wear and also looks traditional. The apparel is worn in the Middle Eastern countries and in various other countries where people follow Islam. At every place the garment is popular with its own different name. It is known as Dishdasha in the Levant region and in countries like Oman and UAE, it is known by the name of Kandura. Also, some people refer to it is a Jubba and Suriyah thobe. The word Thobe is an origin of an Arabic phrase which means ‘garment’. The garment is available in various colors and designs. In the Gulf region, the popular Thobes are available in white color and the neck of the garment is generally round or collar neck. Earlier the Thobes were available only in white color, but now, you can find a huge variety of different colors. The Moroccan Jubbas, also known as Jellabiya or Galabeya, generally consists of a large hood along with the Thobe. These Thobes are available in plain colors or in striped patterns. These garments are ideal for daily wear. To add a style quotient to these plain Thobes and make them an appealing and an interesting wear, the designers have started decorating the garment with buttons in the center and on the cuffs and with piping and embroidery on the borders of the apparel. These embroidered Thobes are perfect to be worn during occasions like wedding functions.